Oil Filled Electric Power Transformer Repairs: Types and Causes - ! Equipment for Transformer Oil Reclamation. GlobeCore. According to international standards, oil filled electric power transformer repairs are divided into three types: (1) minor repairs; (2) moderate repairs (Intermediate Maintenance); and (3) complete overhaul (Depot Maintenance). Minor repairs usually include only preventive maintenance, although some minor corrective maintenance may be included in this category. Minor repairs, including preventive maintenance, can be and usually are performed on site. In this category of maintenance, the transformer is not opened and the external power supply is not disconnected from the transformer. Minor repairs are usually performed by local service personnel. The time needed to perform minor repairs and preventive maintenance will depend on the power of the transformer and may vary from several hours to as much as 1– 5 days. Moderate repairs, or intermediate maintenance, includes all the operations of minor repairs and above, but usually requires the of opening of the transformer, lifting of the core, replacement of terminals (as required), coolant, switches, valves, oil pumps etc. 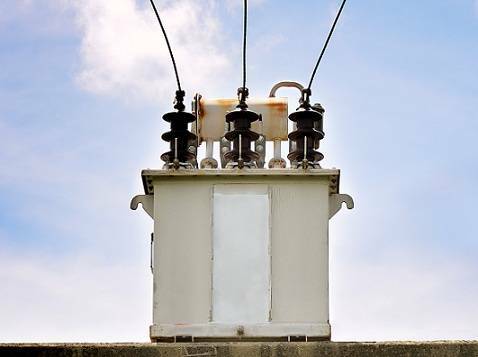 Another major difference between moderate repairs and minor repairs is that it is always performed on a transformer that is disconnected from the power supply and performed at special repair sites known as depot maintenance facilities. A complete overhaul includes the operations of moderate repairs with the addition of core repairs (with dis-assembly and restoration), replacement of the windings and the solid insulation. In some cases, the magnetic system is also repaired. The most common causes, that require a complete overhaul, is severe damage to the core, the windings and the paper insulation, usually as a result of surges and insulation failure. Insulating paper failure is usually due to a combination of age and degradation due to neglected preventive maintenance. In order to avoid failures and the need to perform intermediate maintenance or a complete overhaul, it is important to routinely perform timely preventive maintenance. “Preventive Maintenance” serves to assess the service condition of the equipment and is designed prevent failures, service interruptions, and most importantly, it is designed to extend the service life of the transformer. Preventive maintenance is performed on transformers of 110 kV and above and 80 MVA. Preventive maintenance should be performed on transformers within 10 years of being placed into service and as necessary thereafter. The decision to perform preventive maintenance is made depending on the current condition, years of service, and test results from minor repairs including oil sampling and analysis. Over time, the transformer’s insulating oil will degrade and lose its performance qualities and capabilities. Once an oil has reached an “Acid Number” of 0.08, the oil must be regenerated with the GlobeCore Process to prevent damage of the core and the insulating paper. GlobeCore offers its clients a unique solution: the UVR type regeneration units. The UVR Units are versatile and can regenerate and restore not only transformer oils, but other types of oil as well including hydraulic fluid, turbine oil, and other industrial oils and fluids. The UVR regeneration system lightens diesel and heavy fuel oil, gas condensate, petroleum and kerosene. The UVR plants can be used by any related facility since they require no special placement, are easily transported and do not generate noise during operation. Its time to get with the Process, The GlobeCore Process!